How Long Do You Plan of Living in the Home? This is the first (and most important) question you need to ask yourself when choosing a mortgage. If you plan on living in the home for a short period of time, an ARM is the way to go. It ensures that your first payments will be low and that you won’t be effected—because you won’t be living in the home— when rates rise. Are Interest Rates Climbing or Falling? 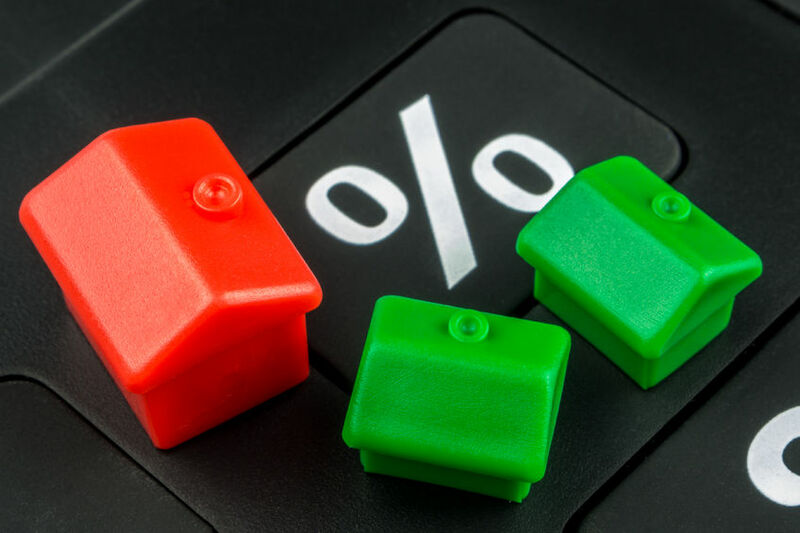 If interest rates are climbing, a fixed-rate mortgage is a wise decision. It will give you a constant, predictable payment that won’t fluctuate with the climbing rates. If interest rates are falling, an ARM is a great way to lower payments. It will give you the freedom to enjoy lower rates without having to refinance. How Do You Like to Manage Your Money? Everyone manages money differently. There is no right or wrong way, but the way you manage money is a strong determinant in proper mortgage selection. If you’re someone who likes to follow a predictable budget, a fixed-rate mortgage is definitely the way to go. If you’re someone who’s relaxed and doesn’t mind an up and down budget, an ARM might be right for you. How Simple Do You Want Your Plan to Be? Fixed-rate mortgages are simple—your payment never changes. ARMs are more complicated because the payments fluctuate. If you’re leaning towards an ARM, you should make sure that you have time to invest in learning how they work. If not, you might get hit with an unexpected surprise in the form of an increased payment. Do You Want a Customized Plan? Fixed-rate mortgages are never customized because their rates are identical from lender to lender. ARMs can be customized for individual buyers because lenders keep ARMs on their books. This decision is really up to personal preference. Use the above five questions to guide your decision making process. When your ready, please contact Rate Winner. Our company was established with one goal in mind: to provide customers with the absolute lowest fees and rates. When you choose us, we’ll provide you with honest, easy to understand information that will help make your mortgage process simple. Our experienced team of skilled professionals will do what it takes to take care of you. In the end, you’ll have a new home and mortgage with neither stress nor complications. Your decision to go with Rate Winner will be one you’re glad you made. This entry was posted in Blog and tagged Adjustable Rate Mortgage, fixed rate mortgage by Scott Li. Bookmark the permalink.